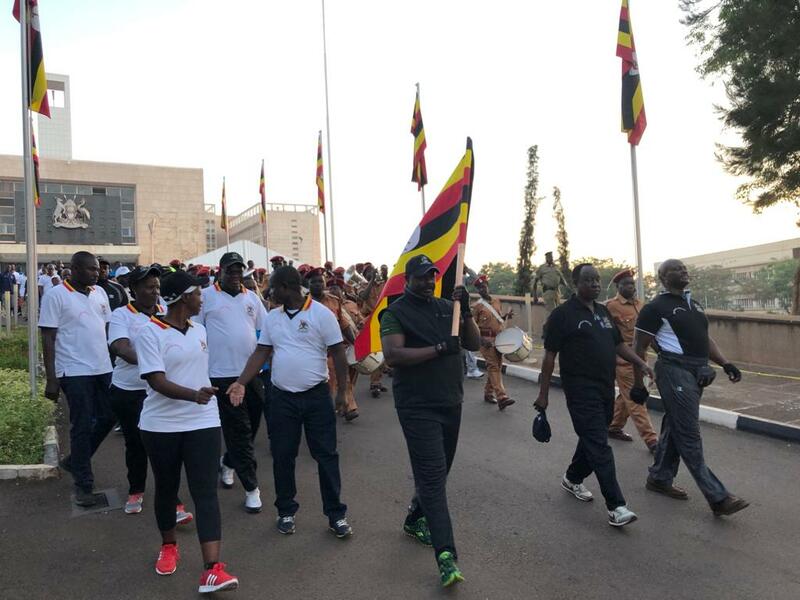 KAMPALA – Deputy Speaker of Parliament Jacob Oulanyah has Sunday morning flagged off the 3rd Parliamentary charity walk at Parliament’s parking ground. The walk will raise funds for construction of a rehabilitation centre for persons living with Albinism. The centre will host a hostel, training, and medical facilities. 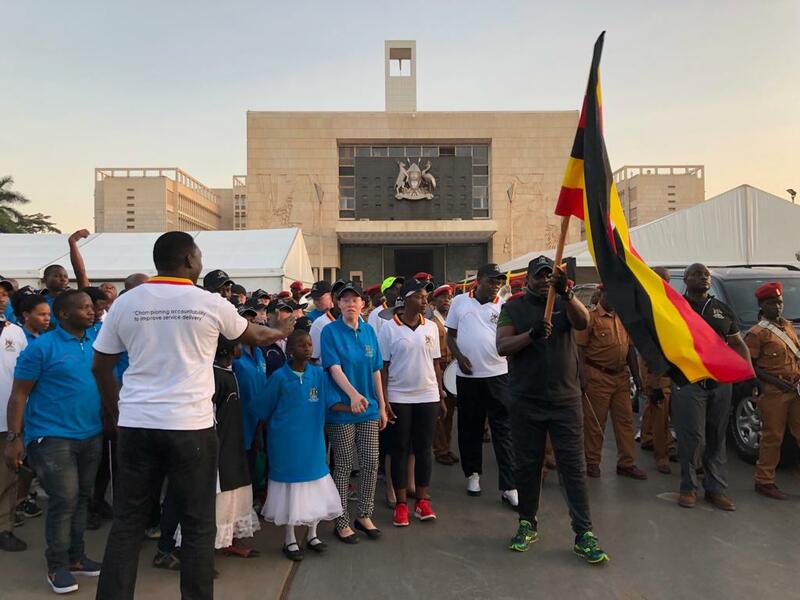 Deputy Speaker Jacob Oulanyah flags off the 3rd Parliamentary charity walk at Parliament’s parking ground on Sunday morning. He says the walk will raise funds for construction of a rehabilitation centre for persons living with Albinism (PHOTO BY JAVIRA SSEBWAMI). 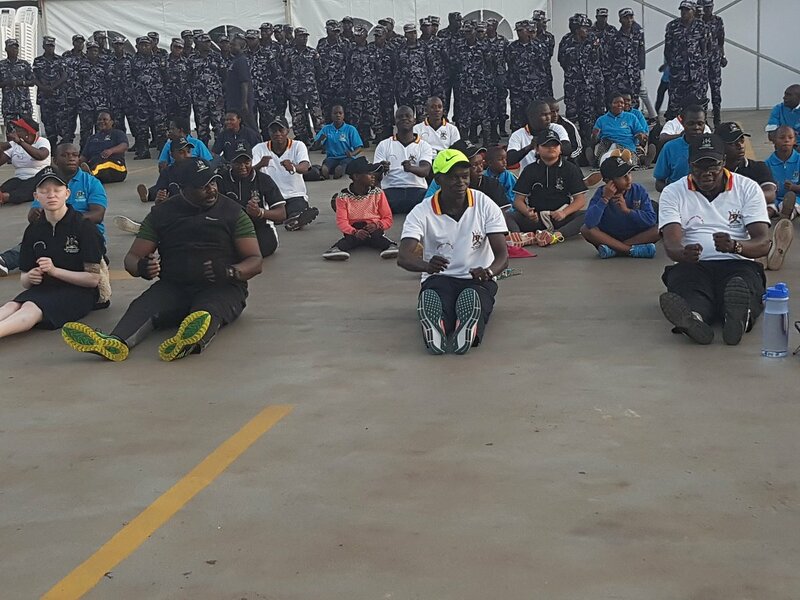 The money raised from the last two charity walks would be channeled to procuring land to set up the centre, in either Busoga or Bugisu sub-regions. On the much anticipated 2019 Parliament week that has kicked off today, Oulanyah said it enables the public to easily access the institution, learn how it works through its departments and get an opportunity to interact with their MPs. It will run from Sunday 13 (today) to Saturday, January 19, 2019. “The Parliament Week is an initiative for engaging with the public and making Parliament understandable, accessible and also have some of the very general issues discussed,” Oulanyah said. On Friday, Oulanyah informed the media that as part of the events of the Week, there would be a multi-denominational prayer service, a weeklong exhibition by Parliament departments, meet-your-MP sessions, a high profile civil society discussion, a public Parliament session, and a corporate social responsibility drive to raise money to the forest the country. “The corporate social responsibility activity is a fundraising drive to purchase over one million trees to be planted countrywide. Contributions will be sourced from staff and Members of Parliament, and the tree planting campaign will be launched at Namanve in February this year,” Oulanyah added. The Deputy Speaker also advised Ugandans to actively engage in the Public Parliament on Friday, 18 January 2019, which he says will give the public a feel of the kind of work their representatives in Parliament do. “The public will be invited to the Parliamentary chamber to engage in a debate. The proceedings of the sitting will be recorded in the Hansard and the resolutions will be presented to the Speaker,” Oulanyah said.